By Dorothy Parker. Introduction by Marion Meade. Cover by Seth. 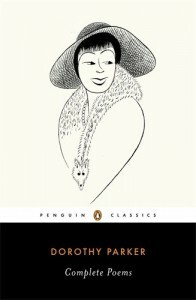 This is the bible for Dorothy Parker lovers. “The Portable” contains Mrs. Parker’s short stories, poems, book reviews and Broadway criticism. The book originally came out in 1944 — and has never gone out of print. All of Mrs. Parker’s most famous writing is presented here. Her short stories and verse were chosen in 1944 and arranged by Parker herself. This new edition adds her letters, magazine pieces, criticism and book reviews. The book was edited by Marion Meade, author of “Dorothy Parker: What Fresh Hell is This?” For most Parker fans, this is the first collection they buy, and it is a good start. If you are going to own just one Parker book, this is it. Read the Marion Meade Q&A — Seth Q&A — Book Review. Highest recommendation. Here is a handy book that collects her three volumes of verse in one cover, plus the uncollected verses. 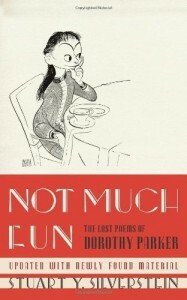 If you have The Portable Dorothy Parker you are missing many of the poems that Parker herself left out. This book collects them all. This volume has more than 300 pages of Parker verse, from her early days up to World War II. Add this book to your Parker collection. Read the review here. Highest recommendation. Perfect to take on the subway, keep by your bedside, or give as a gift to the new Parker fan. All the greatest hits of classic Parker short stories and sketches. Collects everything from “Such a Pretty Little Picture” (1922) to her final story, “The Bolt Behind the Blue” (1958). It lists the publication date and name of the publication where the stories first appeared. There is also a well-written and concise introduction by Regina Barreca, a University of Connecticut professor. A chronology and bio are included. These short stories are what sets Parker up as one of the best American writers of the 20th Century. Get this book. Highly recommended. 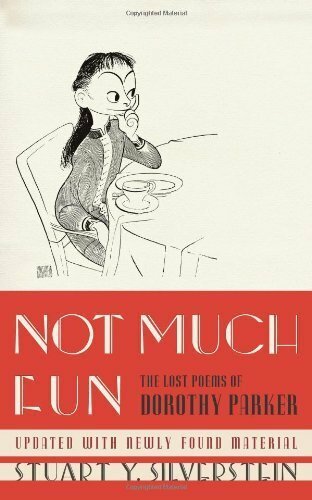 If you have The Portable Dorothy Parker, you also need to own Not Much Fun: The Lost Poems of Dorothy Parker. This comprises all the work Parker left out of her earlier collected editions. Most people have not been exposed to this material for more than 60 years. Most was published from World War I to the 1920s in the old Life humor magazine, The New Yorker, New York Herald Tribune, and The Saturday Evening Post. An excellent and well-written 60-page bio by Silverstein, with lavish footnotes and trivia spread out. There are some real gems in here that bear reading. You need this book in your collection to appreciate some of Parker’s early, breezy verse. Read the 1999 Stuart Y. Silverstein DPS interview here. This is the Modern Library edition of the classic Dorothy Parker collection of stories and poems. 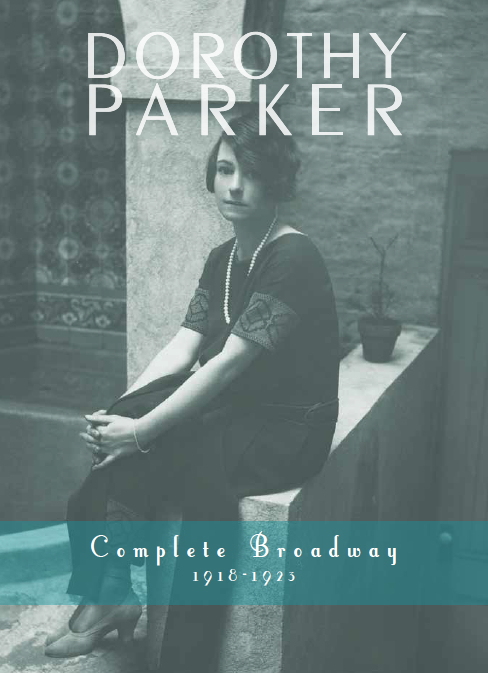 If you want to introduce someone to Mrs. Parker — maybe with a birthday gift book — get this. The first half is divided into verse from the collected editions Enough Rope, Sunset Gun, Death and Taxes; the second half is more than 25 short stories. It’s a compact little hardcover book, with an old style typeface, and moderately priced. Even the dust jacket is classy. This is a clever way to present 2 great short stories by Mrs. Parker. The “book” is more like a roadmap, it folds out for easy reading. Perfect for the “6” train ride downtown to the Algonquin. These are 2 of my favorite Parker stories, both about love. If you’re looking for an inexpensive gift book, this is it. It even comes with a mailing envelope too. Each short story is printed on one sheet of paper and folded like a map. This makes it simple to read while commuting, convenient to carry when not, and easy to give or send to a friend. A paper envelope is provided for mailing or gift-giving, and both are packaged in a clear plastic envelope for display.